This help section guides you through various steps when working with the Wikitude Studio. It covers questions which may arise when creating augmented reality experiences with Wikitude Studio. Select a topic of interest from the left menu. 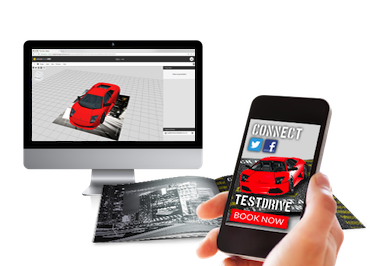 Wikitude Studio is an authoring tool for easily creating augmented reality experiences without the need for deep technical abilities or programming skills. Furthermore, it is used by developers who want to implement an augmented reality application on their own. We are always interested in your feedback and suggestions how we can improve this help section.